The 8-Light CXI IT dual-gelstring scrolling color changer offers custom color mixing with two overlapping gelstrings. With 42 frames of magenta, cyan, and yellow gel in varying intensities, the CXI IT lets you blend and create the perfect color for your production. The CXI IT also features two frames of a custom gel color chosen by you. Our IT generation of CXI dual scrollers comes packed with a wealth of improvements and new features. The CXI IT’s aluminum case features rounded corners for easier handling. A non-reflective matte finish powder coat keeps the color changer cleaner. Several mounting plates are available to fit a wide variety of large format fixtures. The unit’s all-aluminum rollers are coated for long life and run on bushings rather than ball bearings for quieter operation. The drive belt has a special profile for movement that’s quieter than the old-fashioned timing belts. 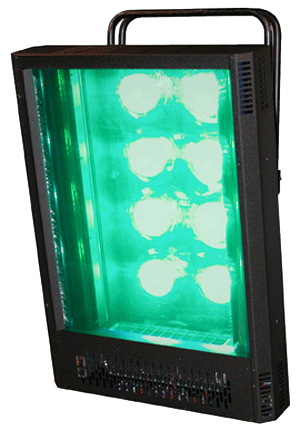 Gel cooling has special problems with the size fixtures that this color changer is normally used on. 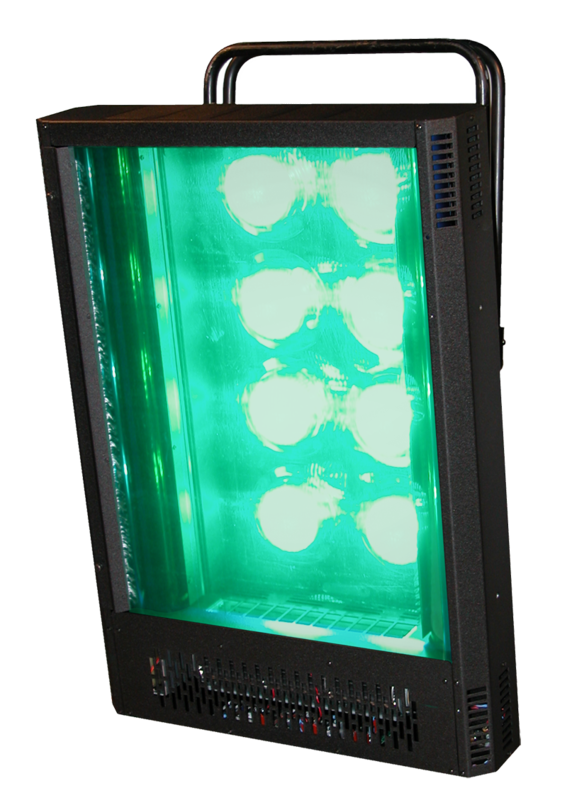 High power light sources produce high heat loads which requires vast amounts of cool air for the gel to last. For gel cooling, we use a long axial blower with specially shaped vanes and a lower running speed for quiet operation. Bottom line, the Coloram IT is the quietest color changer we’ve ever made. The control electronics have also been extensively upgraded. We have moved away from block mode addressing, and now each CXI IT can have any address in the DMX universe. Also, the address is now set electronically, so the unit can be set up remotely – a big time-saver when changes need to be made quickly. We’ve also added lots of sensors to help you keep a watchful eye on the status of the CXI IT. Ambient temperature, gel temperature, voltage, and current at each unit can be measured and sent to your computer using the industry-standard feedback protocol Remote Device Management (RDM). Even the unit’s gelstrings have gone high-tech. Now we attach a special tag to each gelstring, with the tag allowing you to read the custom colors directly from the gelstring along with the date it was ordered and the order number. The tag also keeps track of how often each gel frame has been used and how many times it’s been in front of a light. With this feature, you can save older gelstrings for reuse by monitoring what colors they contain and how often they’ve been used. The CXI IT uses Wybron's PS Power Supplies.